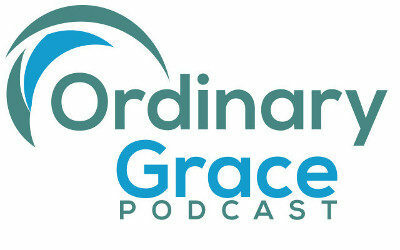 Ordinary Grace: A Podcast on the Spiritual Life – Come join the conversation. Poet, theologian, and calming spirit Laura Reece Hogan joins the conversation to discuss her writing, the fire and passion of working in the Spirit of God, and her experience with Carmelite spirituality. Verbose filmmaker and all around cool dude Harris Smith joins Matt and Sean for a discussion of being a prayer warrior, being born autistic, and the Church of U2. Writer, teacher, and Nic Cage superfan Joanna Nelius joins the conversation for a discussion on Catholicism and quantum mechanics, being confirmed by Cardinal Roger Mahony, and returning to traditions you’ve abandoned. Pastor’s kid, teacher, and rebel, the engaging Michael Dean Clark joins the conversation to discuss his Southern Baptist roots, his B-Boy and goth days, and Ralph Reed’s pancake makeup. Christian pastor, former Buddhist priest, and all-around spiritual explorer Kenryu Jeffrey Binns joins the conversation to discuss following God’s path, learning stillness in the Eastern and Western traditions, and the call and challenge of the cross. A conversation with Susan Pierce, English professor at Los Angeles Valley College, about the hollowing effect of advertising and consumer culture, as well as Tibetan Buddhist loving-kindness practice and the power of giving. A conversation with Ryan Roach, co-host of Drunk Monkeys Radio (now Worth A Click), about his Baptist upbringing, current atheism, and the theological wisdom of Monica Lewinsky. Writer and English Professor William Lemon joins the discussion with stories of growing up Mormon, psychedelics as a shortcut to spiritual experience, and what happens when capitalism overtakes religion.